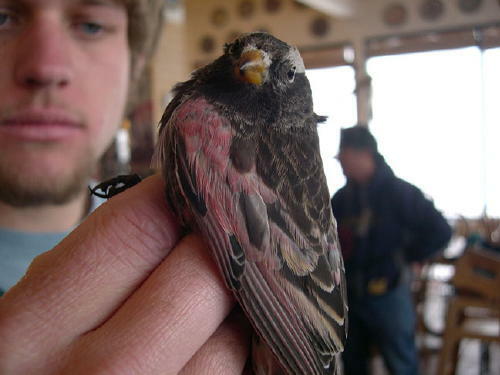 November 9th, 2008 at 11:13 am Rio Grande Bird Research plans to attach radio transmitters to three birds of each Rosy-Finch species, for a total of nine transmitters. Their research protocol sets out a plan to expand the banding project by using radio telemetry to study where these birds are roosting at night, where they go when they are not at the Crest House feeders, and their general flocking behavior. 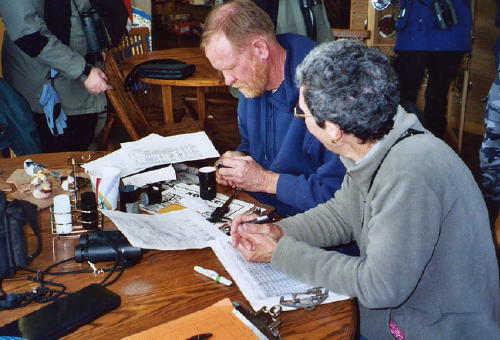 Rio Grande Bird Research will also institute color banding this winter (2008-2009). More information about this activity will be posted as it becomes available. Of interest, a color banding project is underway in western Colorado. An outline of this project may be accessed at this link to a Word document with color pictures of the bands in use. September 21st, 2011 at 12:37 pm What a well written blog post you’ve got here. You actually were able to genuinely high light the key points that ultimately matter. I really enjoy reading through your site, the caliber of the knowledge is superb as well as your writing style certainly makes it simple to absorb and fully understand. Love it! Keep up the remarkable work.